The wildly popular variety of ramen known as Tsukemen was invented in Tokyo in 1961 at Higashi-Ikubukuro Taishouken, a legendary ramen shop run by the late, great master Kazuo Yamagishi. According to most accounts, Yamagishi-san's staff first started eating this new dipping-noodle dish during lunch breaks. Eventually, Yamagishi-san decided to try it out on the shop's menu. Soon the Tokyo masses were clamoring to get a taste of 'mori-soba,' as the dish was then called. The difference between ramen and tsukemen is simple. With tsukemen, the noodles and soup are served separately. The eater then dips the noodles, typically served chilled or at room temperature, into the piping hot soup before slurping them down. Tsukemen soup tends to be saltier and richer — better for dipping than drinking, allowing for bolder, more explosive flavors. The noodles also are usually thicker and chewier than ramen noodles, providing more surface area to transport the soup from bowl to mouth. The naked presentation of the noodles also raises the stakes: since they are served solo, it's all the more imperative that they be high-quality. 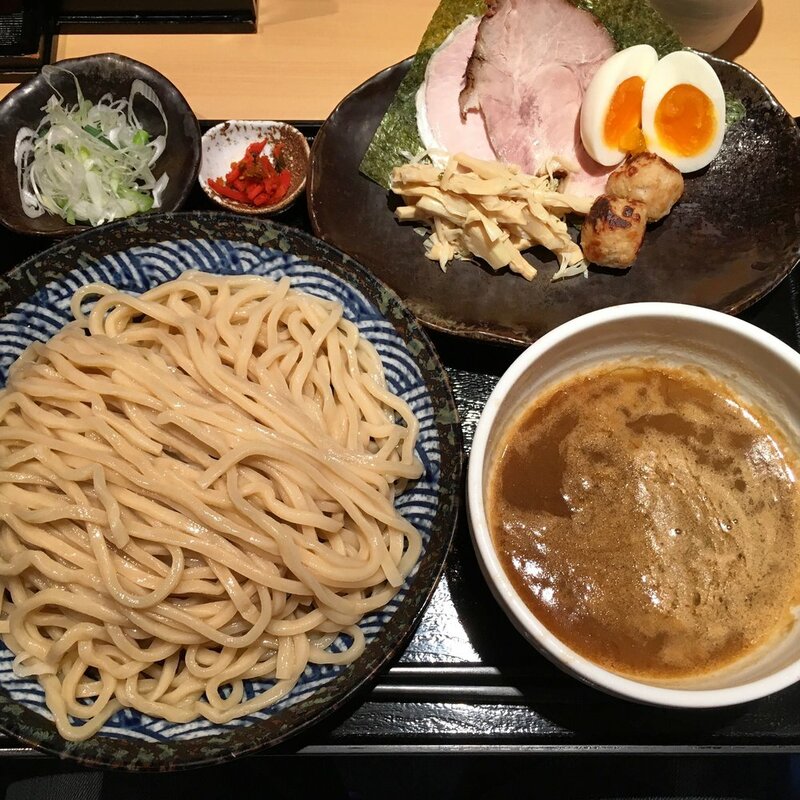 Tsukemen gradually gained in popularity across Japan during the 1970s and 80s, before exploding during the new school ramen movement of the past two decades. 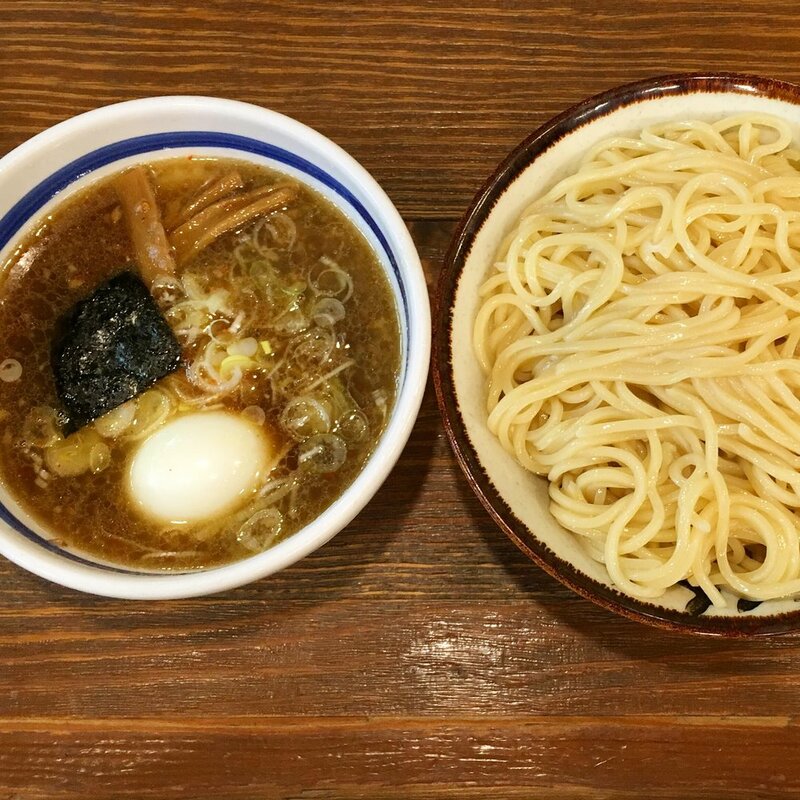 Today, tsukemen is one of the most beloved styles of ramen in Japan. Even if you've crushed a thousand bowls of ramen, when you try tsukemen for the first time it's a ramen epiphany all over again — a portal into a new dimension. Run by a husband-wife team, Kissou has long been regarded as one of the best ramen shops in all of Tokyo. The shop serves a superior tonkotsu-gyokai double-soup, house-made noodles and an outstanding egg with perfect consistency. Both the ramen and tsukemen are worth trying. Like many of the best, only open for lunch. Note: On Monday and Tuesday, Michi suspends its usual tsukemen menu and becomes 'Ramen Michi No Shio,' serving only shio ramen. Master Oohashi-san comes from a family background of noodle-makers, and he prepares Ganja's superb noodles by hand every morning. The soup is rich and fatty, with morsels of dried fish and seafood that cling enticingly to the fresh, chewy dipping noodles. Ganja happened to be the very first ramen shop to put a dollop of fish powder directly in the bowl just prior to serving. This is now a common technique at ramen shops across the land, but Ganja was the first to do it. Open since 1947, Maruchou is a deep old school shop with a lengthy ramen and tsukemen lineage. Many of the regulars who line up here have been coming for decades. Shoyu tsukemen with a soup made from chicken, pork & vegetables. Juicy shumai and menma available on the side. A legendary West Tokyo lunch spot. Master Shinagawa-san operates several shops, all of which are excellent. This flagship located in a quiet residential area near Ikebukuro might be his most respected spot. Handmade noodles and carefully crafted gourmet bowls. The inventor of tsukemen and a true institution on the Tokyo scene, this shop forever has its place on the Mt. Rushmore of ramen greats. People come from far and wide to try the marvelous dipping noodles and juicy gyoza. There are now well over 30 ‘Taishouken’ ramen shops in the Tokyo scene, most with a lineage somehow linked to this shop. 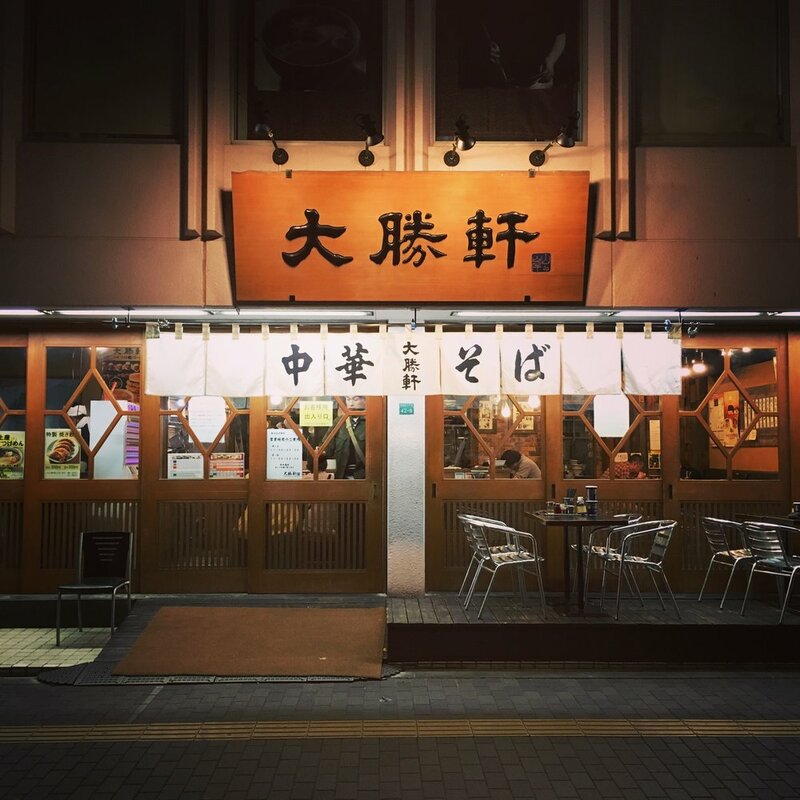 This legendary infamous tsukemen shop once regularly commanded lines of up to 3 hours long. It got so bad that staff were hired simply to direct the massive lines infiltrating the neighborhood. In the end, pressure from surrounding neighbors forced the shop to close. Today, Rokurinsha has a permanent location on Tokyo station's Ramen Street. While it’s more of a chain-style ramen shop now, it’s still respectable and conveniently located for a quick strike. Tsukemen specialty shop specializing in a rich tonkotsu gyokai soup. The housemade noodles are thick and chewy, and each bowl is served with a slice of lemon on the side for some added acidity. Everything here hand-crafted, everything legit.